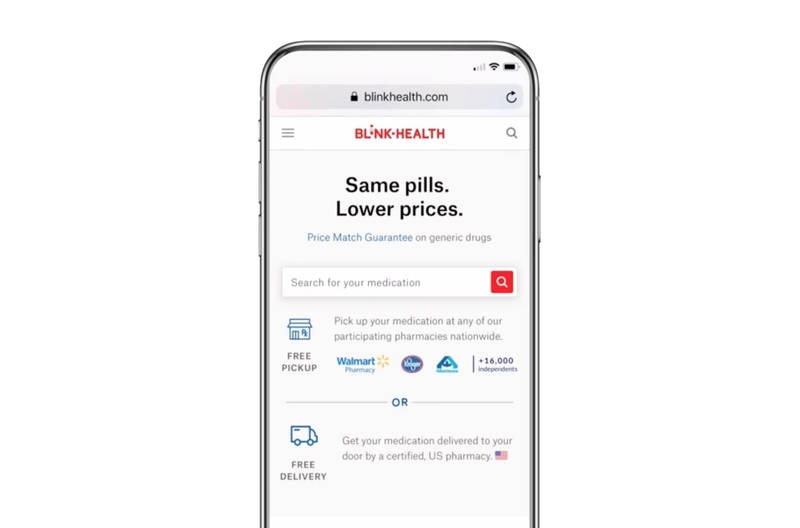 Blink negotiates with the pharmacy industry, so you can get the same medication at much lower prices. Just order online to save. Then choose pickup or delivery to get your medication. Need your medications fast? Pay online, then pick up at a pharmacy nearby. Get the same medication delivered to your door with free shipping. Choose the Blink Everyday Low Price to pick up at any participating pharmacy. Or choose a Blink Smart Deal to pick up at a select pharmacy for even more savings. If not, we can transfer your existing Rx to the pickup pharmacy for you. Just look for the Rx transfer option after checkout. Transfers are free and easy. We'll text and email a proof of purchase - your Blink Card. Show it to the pharmacist and tell them to process it as the primary payer. You pay nothing at the pharmacy. An e-commerce based solution to one of America's most persistent and controversial medical problems: The staggering cost of prescription drugs.